You’ve done your best to persuade your customers to drop off their vehicles at a specific time, but they all have their own ideas on when they'll arrive. So, all at once, they show up first thing in the morning when your doors open. Worse yet, they wait and get upset if you don’t move fast enough, while writing up the other customers who also showed up at the same time. Customers can now check themselves in and drop off their vehicles without having to wait, by using the Welcome Station Kiosk. Stop worrying about lost opportunities to upsell to your customers; Welcome Station Kiosk can do that! By simply tapping the kiosk screen, new and returning customers are prompted to enter their phone number. 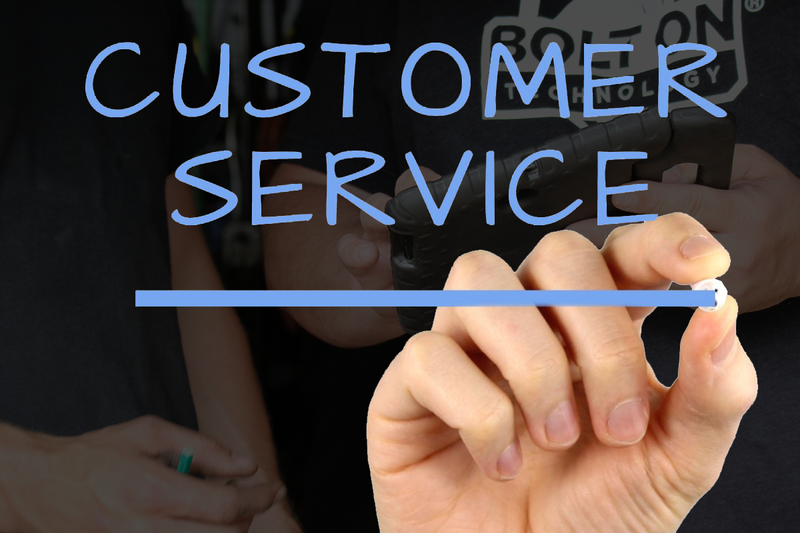 Current customers will choose the vehicle that they are dropping off, and by following the prompts, can be offered the chance to add previously recommended work to their service request, and take advantage of any 'specials' you may want to offer. Welcome Station Kiosk can also be set to offer different services based on the current season and even the recent weather in your area, automatically! When the customer completes their entry into the Kiosk, they're free to leave, but of course can still wait to speaker to the Service Advisor. 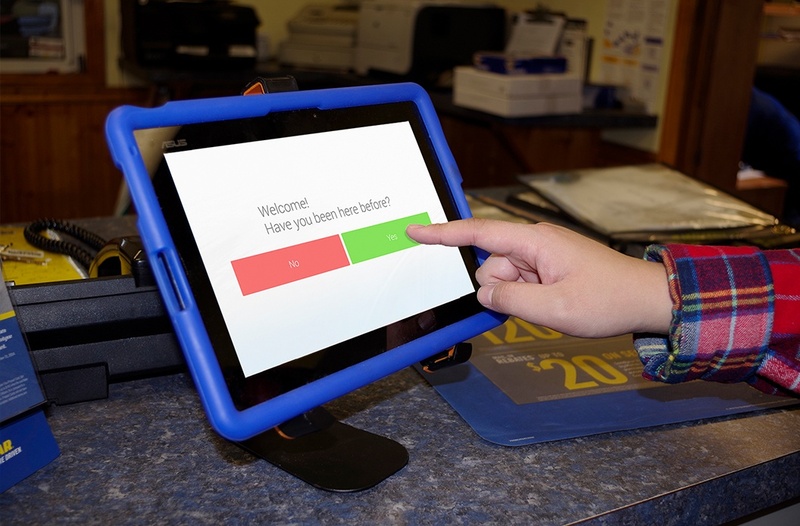 Once you've gotten through the “rush,” go into your shop management system and open the document that Welcome Station Kiosk created. It will have the complete details of the customer’s requests! Just call or text them for approval with the estimate, and just like that, the job is ready to be dispatched to your tech. 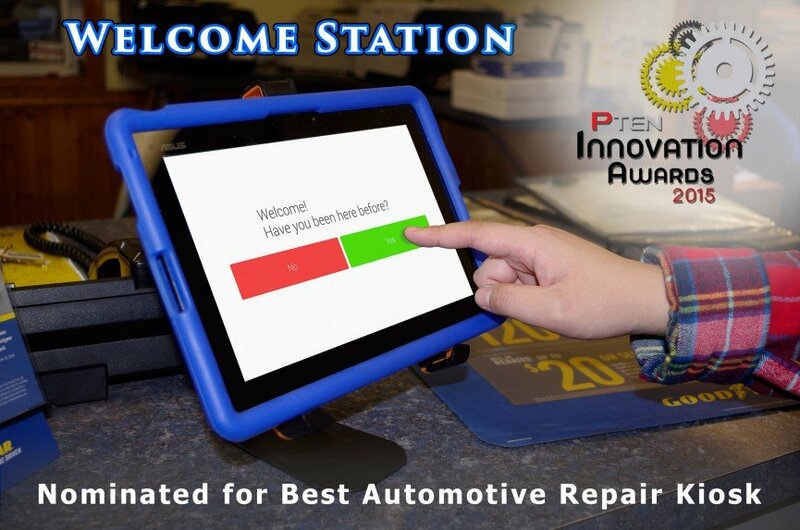 *Learn more about handling your morning rush with the Welcome Station Kiosk!